We have an apology to make, dear readers. We’ve neglected our responsibility to keep you updated on all things William Patrick Corgan, and failed to properly recount the recent drama underlying the heavily implied, but not yet officially announced, Smashing Pumpkins reunion. For that, we are very sorry. Here, we will try to make amends. The buzz around a reunion—started by a series of posts on Corgan’s Instagram showing him in the studio with original Pumpkins guitarist James Iha and drummer Jimmy Chamberlin—went up several decibels with the appearance of a countdown clock on the Smashing Pumpkins website over the weekend, set to end tomorrow, February 14. Speculation is that the clock is counting down to the announcement of a new Smashing Pumpkins album or a full-scale reunion tour, which naturally led to the question: What about D’Arcy? There’s a long history of tension between bandleader Corgan and original bassist D’arcy Wretzky, who quit the band in 1999 shortly before its initial breakup. 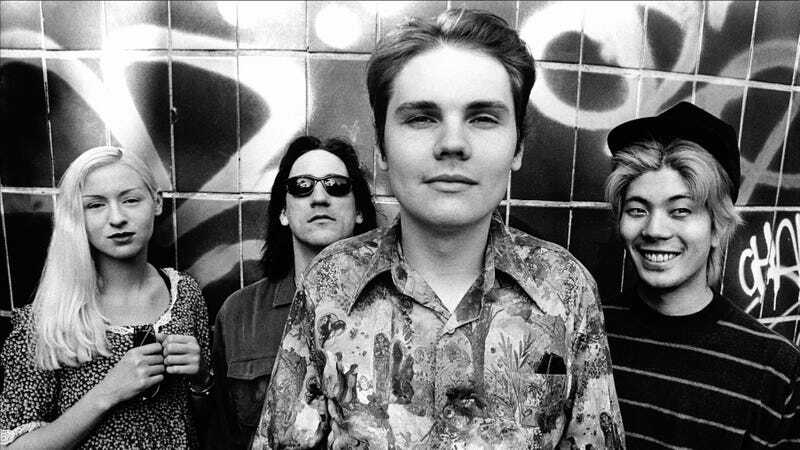 The tension started when Corgan re-recorded her bass parts for Siamese Dream, as Noisey details, and since her departure she has been replaced with a rotating lineup of bass players. Last year, Corgan and Wretzky started speaking again, which was a big deal, although on January 21 she said she had not been asked to participate in the reunion antics Billy and the boys were posting about online. “I only just found about yesterday that the band has decided to go with a different bass player,” she said. So, today, Wretzky followed up with Alternative Nation, sending them a series of screenshots of text messages she says received from Corgan supporting her statements from Sunday’s interview. In them, he says he wants her to participate in the tour—but in a limited fashion, coming on stage for a couple of songs a la original drummer Steven Adler on the Guns N’ Roses Not In This Lifetime tour. All caught up? Great. See you all on Thursday.